“It was basic math — trying to fit four classics, plus a daily driver, into a two-car garage.” Was living in a townhouse at Quail Lodge in Carmel Valley, with a two-car garage and no driveway. Had to park his daily driver Audi in the guest lot, and needed a safe, secure storage solution for his valuable collection. 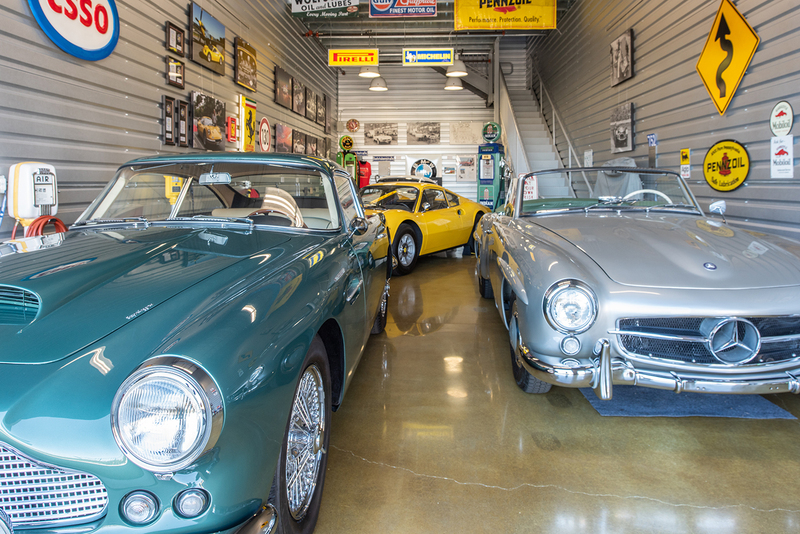 Currently resides in Pebble Beach, but still has only a two-car garage — not uncommon in the Carmel-Monterey area where many owners have a one-car garage, or no garage at all. “The car I drive most often is the Ferrari. But the one I love the most is the BMW, because it’s so rare and there’s sentimental value. I inherited it from a friend, who owned it and another 1957 BMW 507 formerly owned by Elvis Presley.” The car was restored to a Pebble Beach Concours level over a two-year period from 2014–2016 at BMW Classic in Munich. “I love the location, because it’s out of the hustle and bustle. 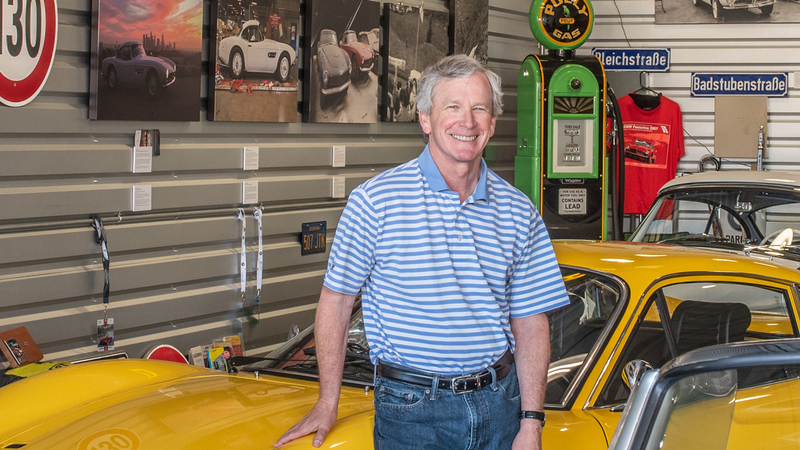 And it’s quiet…except on WeatherTech Laguna Seca race days,” he says with a smile.